Ha, well I've seen a couple people already with in Dash car PCs including tablets. I've been doing this to cars for over 10 years. Did my first tablet a couple months after the first Galaxy Tab 7 was released. After a few cars and jeeps and lots of devices I've played with I'm now on the Porsche. I've already had a full Windows 8.1 8in tablet in the car. Was a very nice install but I didn't finish it, after the Windows 10 update it died from battery failure. I decided to go back to Android, now with the all mighty Galaxy Tab S 8.4. To do this right I had to change the dash panel with the newer 04 version. Don't get me wrong it can be done, just painfully. 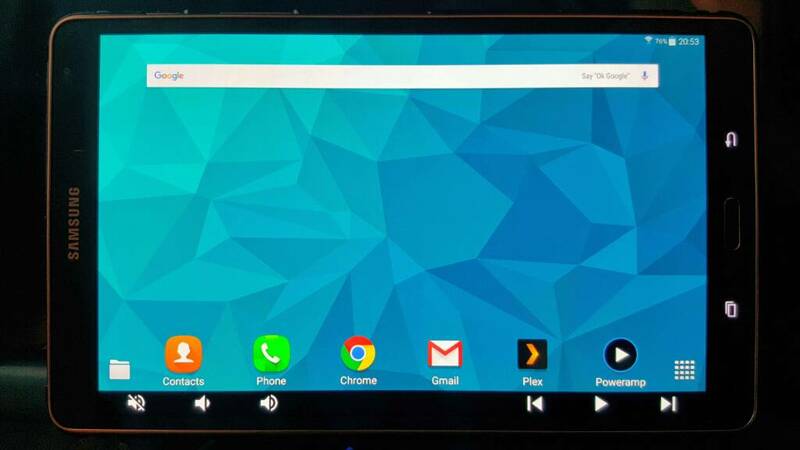 I've been developing a mod lately for this tablet which is already available for the Nexus7 which is one of the best tablets to install due to the automotive support. The mod is to Add the Navbar to the tablet which doesn't have one since it has the hard buttons already. And instead of being the typical "back, home and resent" buttons, this has the volume and playback buttons. The mod took a while, being my first time working with Android Code, but after I was finished I decided to make my own personal version. 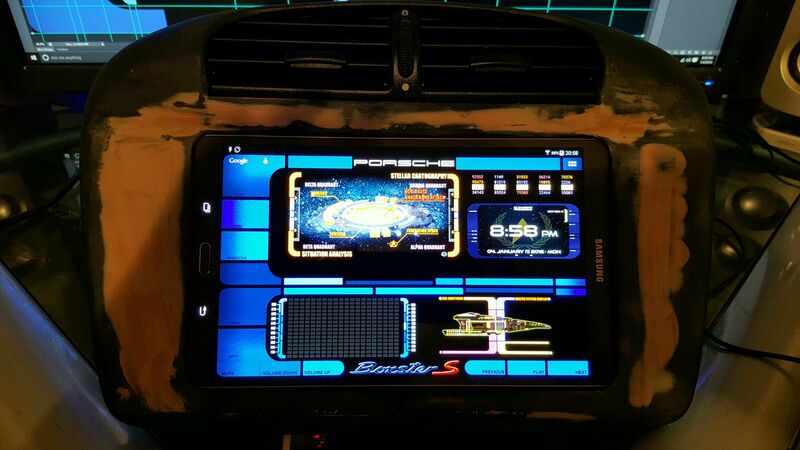 I finally came up with LCARS looking buttons that I liked. Well it obviously didn't stop there. 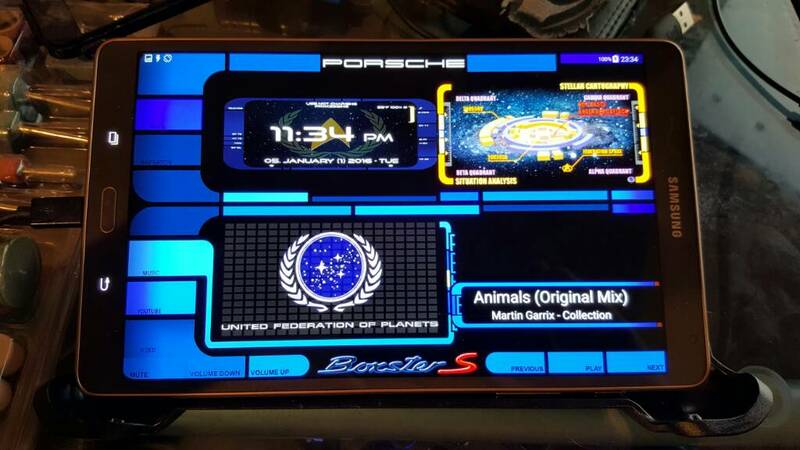 I ended up theming most of the launcher and SystemUI to function and look totally Star Trek. I know there are launchers with LCARS themes already but all were horrible. I know it's not exactly Porsche related but it is for my Porsche and I am really excited about it. Hope you enjoy. It's not all glory. I've already made a million changes to get things right. Since this is just skinning the SystemUI and Launcher. I'm about to start tampering with the factory TouchWiz launcher because I've read up its very customizable. Might be nice. Being able to skin the factory launcher by re coding it should allow me to make it totally convincing as if it were real. LOL btw for those that don't know, it all started with this mod I designed for the TabS from the idea of a mod done on a Nexus7. This is the Navbar that's been activated and modified to have volume and playback buttons. I give it 2 thumbs up!